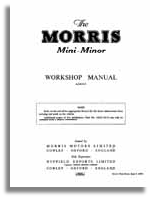 Free copies of the unabridged MK1 Cooper & S Part Lists & associated Workshop manuals . The complete unabridged mechanical parts list for MK1 Mini Cooper 997 & 998 models, as well as MK1 Cooper S's 970, 1070 & 1275. This is a large "zip" file download. 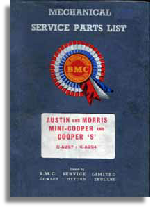 The complete unabridged body parts list for MK1 Mini Cooper 997 & 998 models, as well as MK1 Cooper S's 970, 1070 & 1275. A complete scan from Tommaso Geronzi this pdf is a complete copy of the MK1 Mini Saloon Body Parts list. If you haven’t seen these documents before they are a superb source of information, straight from the horses mouth. 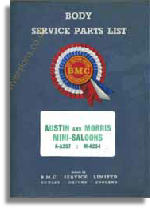 A complete scan from Tomas O'Cuplae this pdf is a complete copy of the MK1 Mini Saloon Mechanical Parts list. If you haven’t seen these documents before they are a superb source of information, straight from the horses mouth. A very useful parts list that concentrates on the A series engine only. Loads of useful information. An excellent parts list covering the updated MK2 models. A complete & unabridged workshop manual dating from 1962. Essential for those repairs & restorations. Thank you to Tommaso Geronzi for another excellent scan. A complete & unabridged workshop manual dating from 1959. Essential for those repairs & restorations. Thank you to Tomas O'Cuplae for the excellent scan. 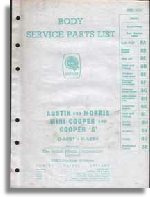 A complete parts list for the Austion Se7en dating from 1961. Essential for those repairs & restorations. Thank you to Tomas O'Cuplae for another excellent scan. 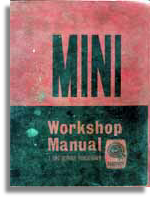 The complete & unabridged late MK1 / MK2 Workshop manual. Essential reading for all Mini owners. Thank you to Tommaso Geronzi for another excellent scan.